Crocheting the striped stoolcover gave me the stripey bug I think. 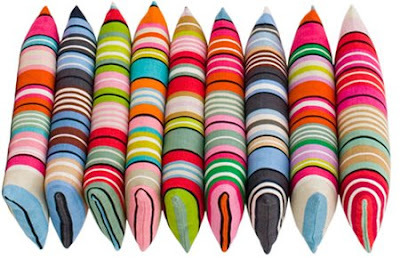 All colorful stripes are catching my attention. 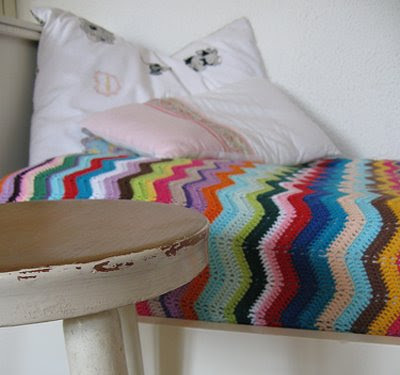 Wanting to crochet stripes big time. Doing well on my granny square blanket, update will be blogged soon, but already wanting to crochet a stripey blanket as well. Ha, we are going to be toasty and snuggly this winter. Never mind it is summer and has been so very hot. Too hot for blanket crocheting, really. The pillows above, drool, are from Lisbet Friis, a Danish textile artist. She develops the patterns and colors in her own workshop after which the textiles are hand-printed in limited series. Gorgeous. 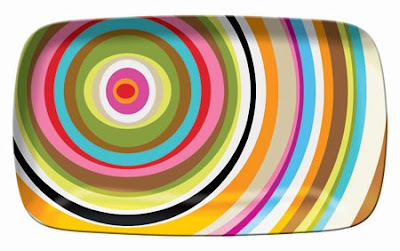 The melamine platter is from French Bull. I want pretty much everything they make. Canisters, cups, plates and more. 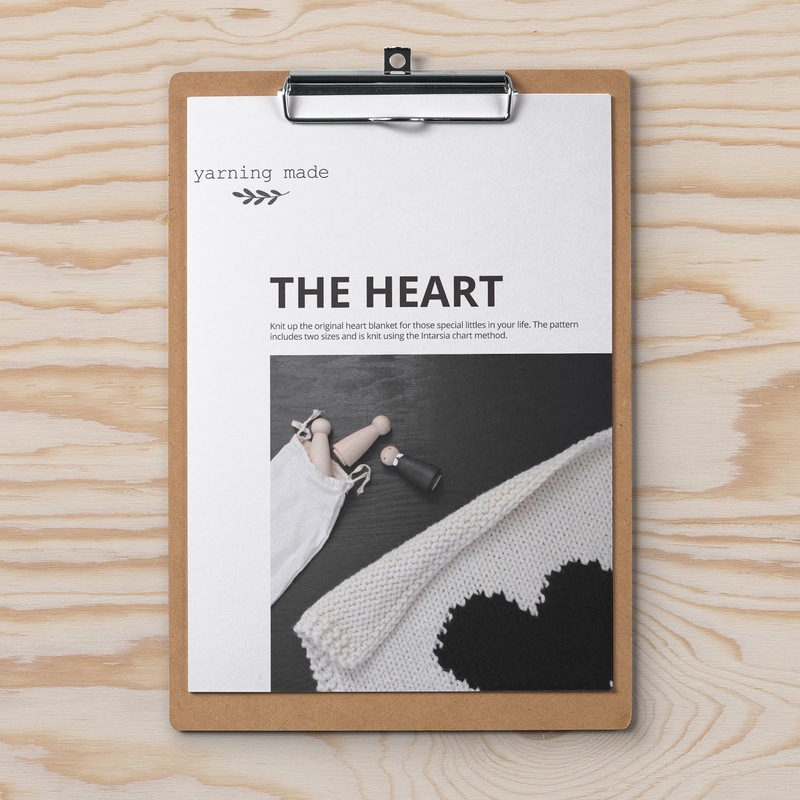 The crochet ripple blanket from Liselotte Weller makes me want to drop everything I am doing and just get started. I must make one. I must. Beautiful pillows! Can I pay you to make me some?